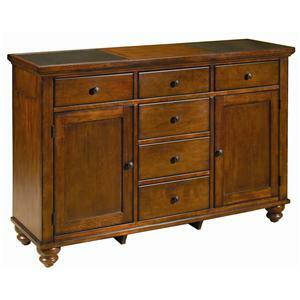 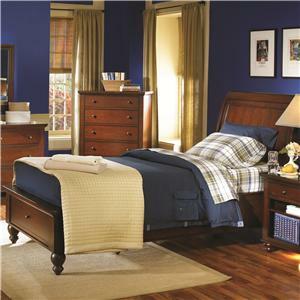 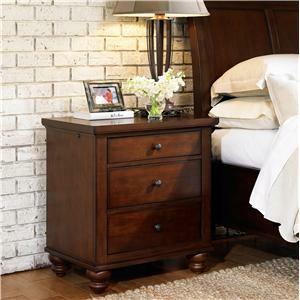 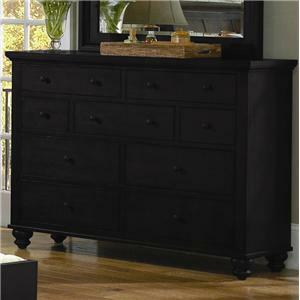 Create a pleasant bedroom atmosphere with this five drawer chest. 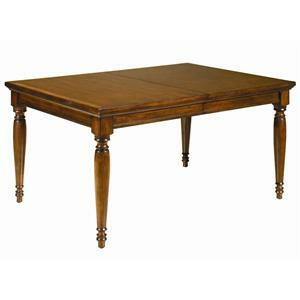 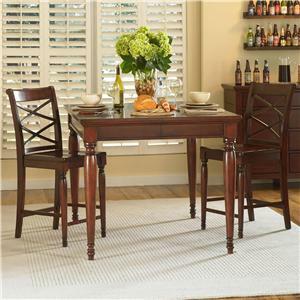 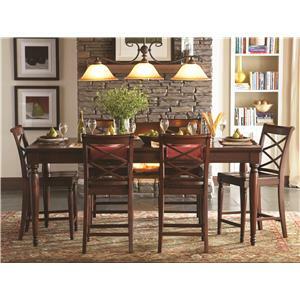 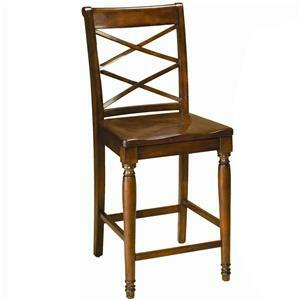 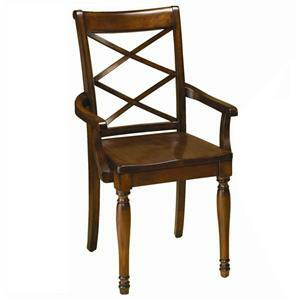 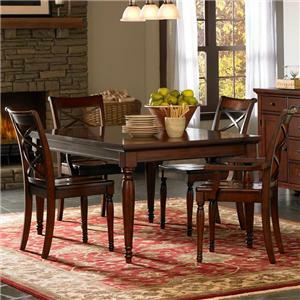 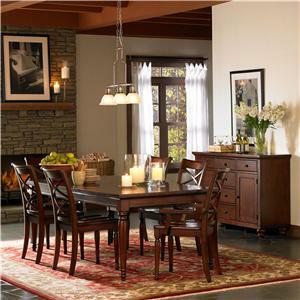 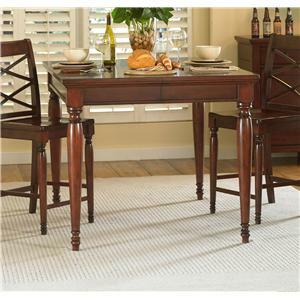 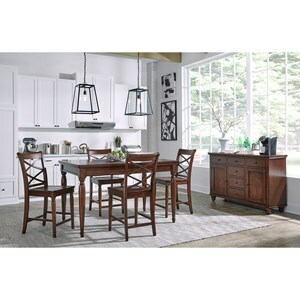 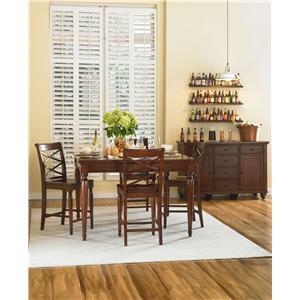 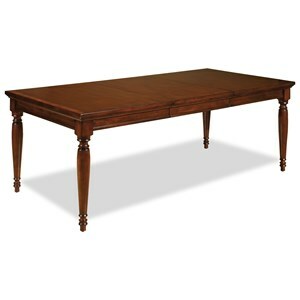 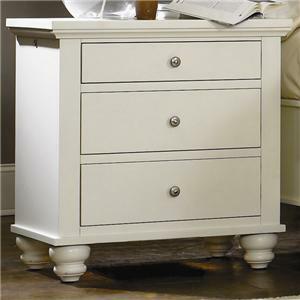 Smooth clean lines, ornate turned feet, and rounded metal hardware accent this casual, yet sophisticated piece. 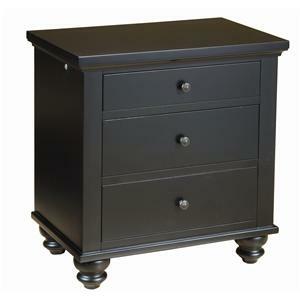 Use the five drawers for storing your clothes and other bedroom accessories. 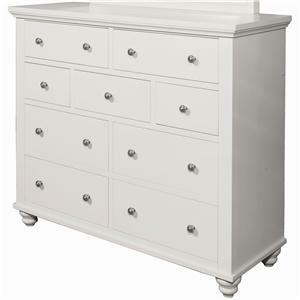 Each drawer fully extends to allow easy access to your items. 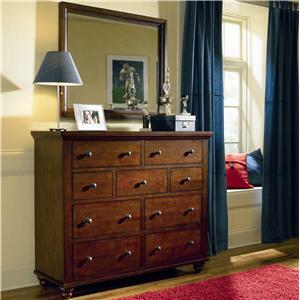 The top of the chest has plenty of space to display collectibles and photographs.  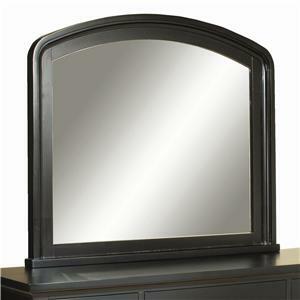 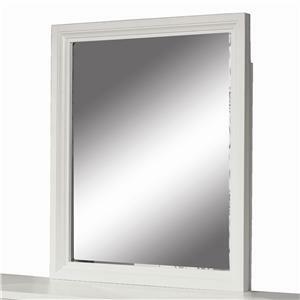 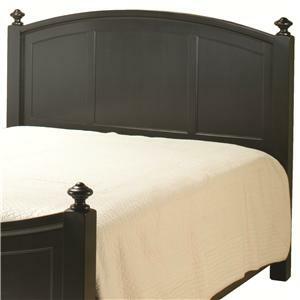 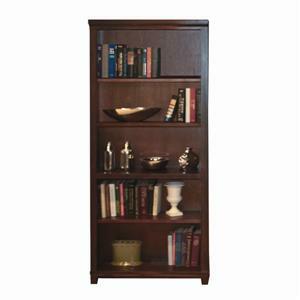 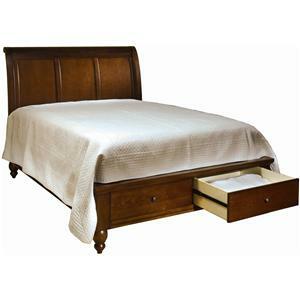 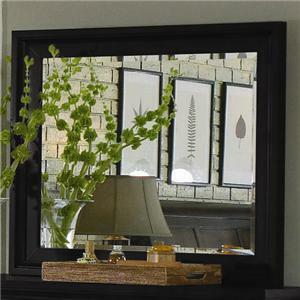 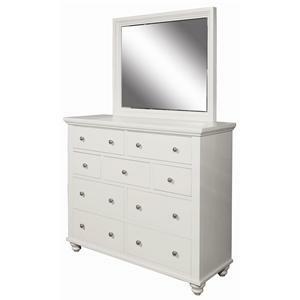 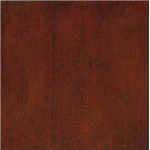 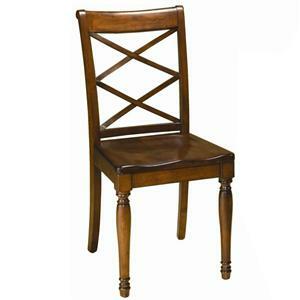 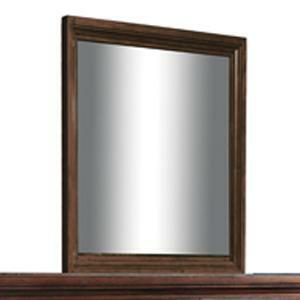 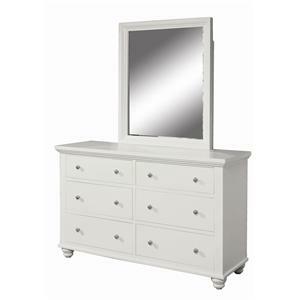 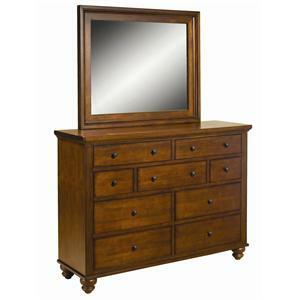 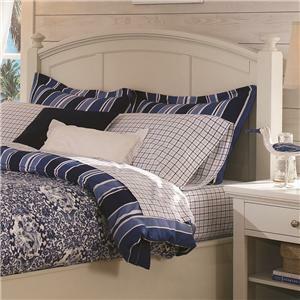 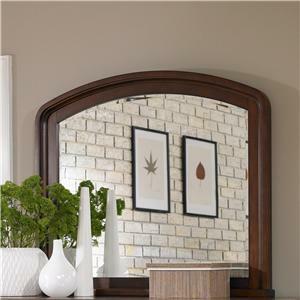 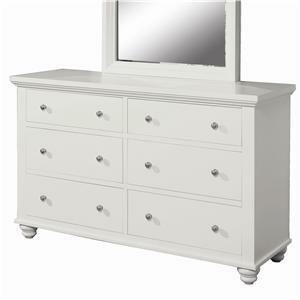 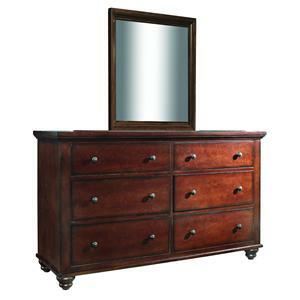 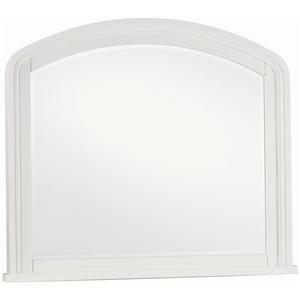 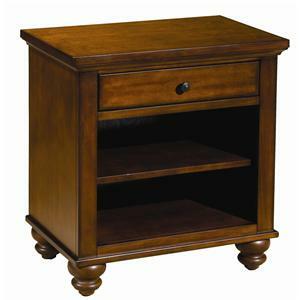 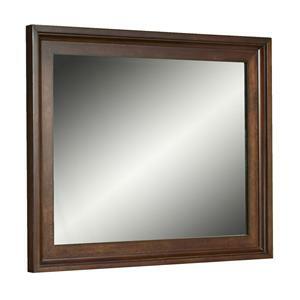 Pair this piece off with one of the dresser and mirror combos for a matching set. 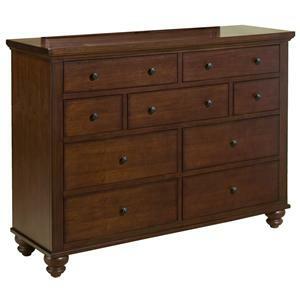 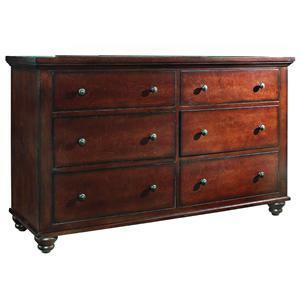 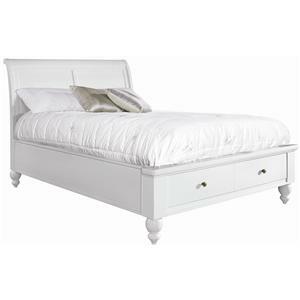 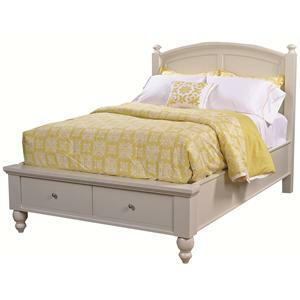 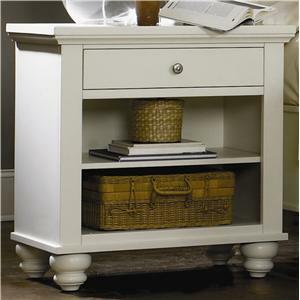 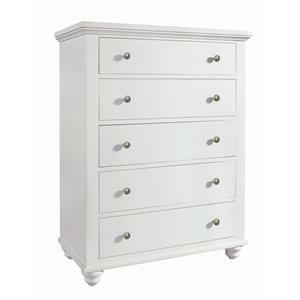 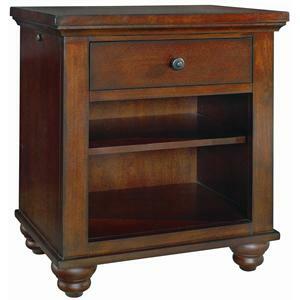 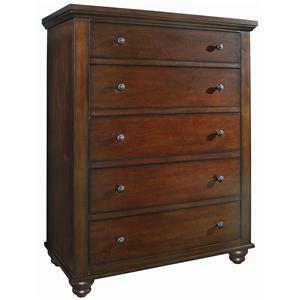 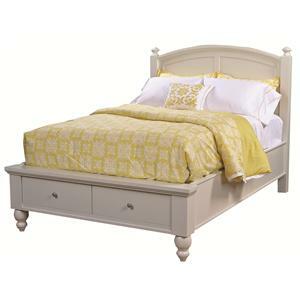 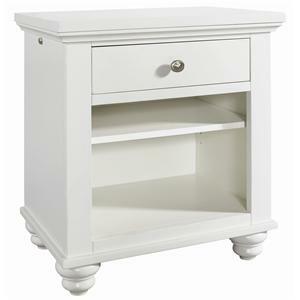 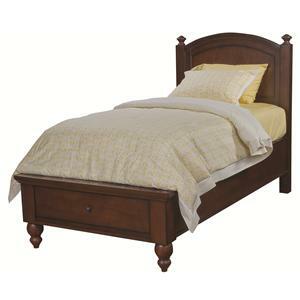 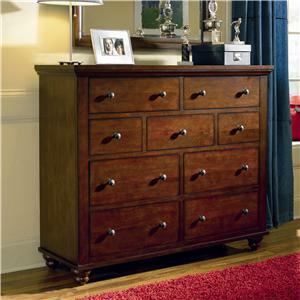 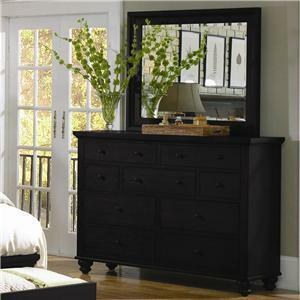 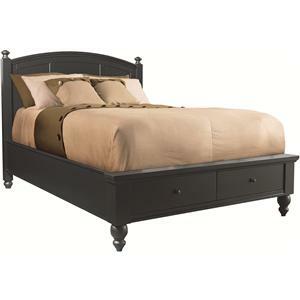 The Cambridge Chest with 5 Drawers by Aspenhome is available in the area from FMG - Local Home Furnishing.